"Changing User-Centered Design Methods for HCI"
Kun-pyo Lee is the professor of Department of Industrial Design, KAIST, Korea and director of Human Centered Interaction Design Lab. He is also serving as president for International Association of Societies of Design Research. He was the Executive Vice President and Head of Corporate Design Center of LG Electronics. He studied design at Joong Ang University (BFA) Korea, IIT Institute of Design (MS. Design) US. And University of Tsukuba (Ph.D. Design) Japan respectively. His research interests include user experience design, human centered design, design methodology and, more recently, open design with crowds. 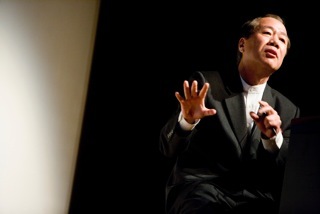 He has published widely (over 350 articles, papers, books, and book chapters) both in Korea and abroad, has served on international juries including IF and DFA, LAA, DLA & WOCD and has been an invited keynote speaker and lecturer at over 150 conferences and institutions throughout the world.